BRAND NEW OPENING FOR A RN UNIT MANAGER IN PENNSYLVANIA! We are looking for a Registered Nurse with at least 1-3 years of nurse management experience to come join the team at this Skilled Nursing Facility as a Unit Manager! Excellent opportunity for a Registered Nurse looking for an opportunity to join this organization in a leadership position overseeing the care management of a designated area of the facility! Overseeing the care management of a population of patients within an assigned area, unit or clinical function. Conduct the nursing process, assessment, planning, implementation, and evaluation under the scope of the State's Nurse Practice Act of Registered Nurse licensure. Coordinates resource utilization, timely and appropriate care interventions, and interdisciplinary communication to enhance patient and family satisfaction, adherence to center's clinical systems and regulatory compliance. 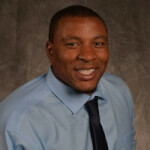 Jermel Wright is an Associate Healthcare Recruiter at KA Recruiting, Inc in Boston, MA. He specializes in permanent placements of Allied Healthcare Professionals in the Laboratory space. He received his B.A. in Healthcare Administration from Stonehill College.